National Standards Authority of Ireland (NSAI) has achieved ‘Auditing Organisation’ recognition under the Medical Device Single Audit Program (MDSAP). NSAI is one of just 14 certification bodies worldwide with the skills, expertise and capabilities to certify medical device manufacturers to MDSAP. The Medical Device Single Audit Program (MDSAP) allows a single audit of a medical device manufacturer's Quality Management System which satisfies the requirements of multiple regulatory jurisdictions. Audits are conducted by Auditing Organizations (AO), such as NSAI, authorized by the participating Regulatory Authorities to audit under MDSAP requirements. “This single audit approach reduces the need for duplicate quality management audits, helping device manufacturers to better manage costs and ease market access,” she added. A NSAI MDSAP Audit can also be combined with assessment for CE Marking and ISO 13485. NSAI would like to acknowledge medical device manufacturer Bausch + Lomb, who volunteered to be part of the MDSAP witness audit program, allowing NSAI to successfully complete the MDSAP requirements and achieve Recognised Auditing Organisation status. 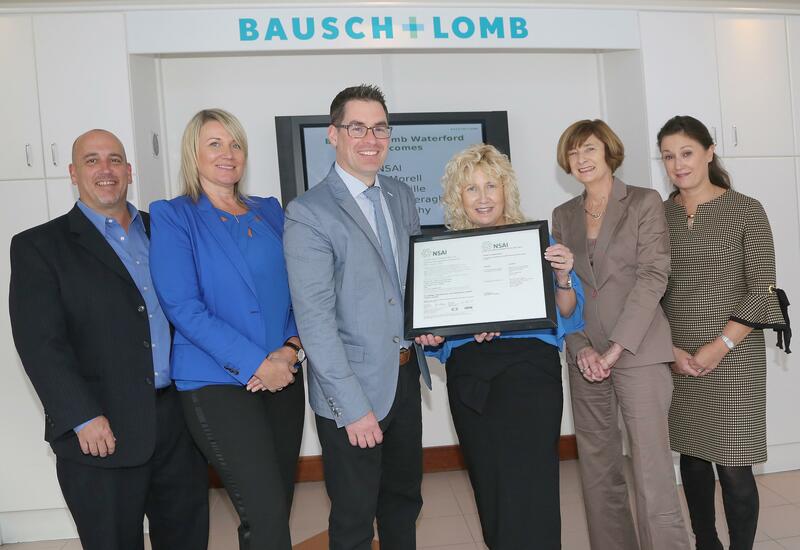 “Bausch + Lomb achieved MDSAP certification under NSAI. The recognition process required NSAI to undergo three witness assessments by the MDSAP consortium,” said Chris Morrell, Vice President of NSAI Inc.
“Witness assessments were conducted in Bausch + Lomb Rochester, New York and in Bausch + Lomb, Waterford, Ireland. Final multi-site registration to MDSAP / ISO 13485:2016 was granted last December, covering both locations. This is a significant achievement by Bausch + Lomb and its dedicated team,” he added.